Reading about wine is one of my favorite pastimes. In between wine books, I like to spend a significant amount of time pursuing wine articles on everyone's favorite time killer: ye olde Internet. Luckily, there are great things to be found on the World Wide Web, like memes, memes, memes, and reliable information on wine! Since you've probably scrolled through the current memes several times in your post-turkey coma, how about learning a thing or two while you finish off the half-empty bottles of wine strewn around your house? 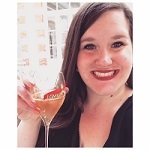 Scroll down to learn my favorite wine websites and why I love them! Wine Folly offers information for every level of wine learner. Content Director Madeline Puckette is relatable and creditable, and creates captivating graphics. Wine Enthusiast is undeniably snobby and a bit biased but I believe their lists are helpful for beginners who need direction. This British publication and website provides extensive vineyard, weather, and vintage news, which is very helpful for people who are already fans of specific appellations. VinePair covers beer and spirits in addition to wine. Designed for the millennial demographic, they also offer travel tips and merchandise. I use this no-frills site at least once a week to find information on wines. They provide grape, region, and price information in their vast wine directory. Reverse Wine Snob's motto is "wine doesn't have to be expensive to be good"—a philosophy I can get behind! In addition to wine, restaurant, and book reviews, Vinography also features wine images and wine events. Marissa Ross is extremely knowledgable and even more hilarious. I also recommend her book and her Bon Appétit articles. Do you have a favorite wine website? I'd love to check it out!